A sore throat is one of the most common presenting complaints that we see during winter. Some sore throats require antibiotics, and some don’t. 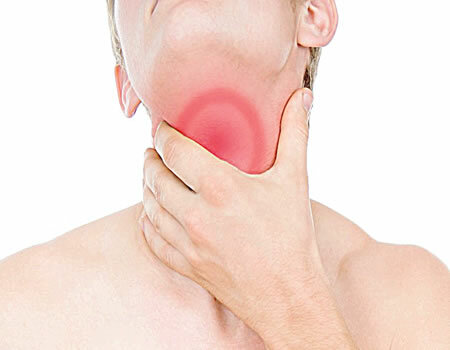 It is possible to get a throat infection (we call this “pharyngitis”) even if you no longer have your tonsils! Most cases of sore throats are actually viral infections. 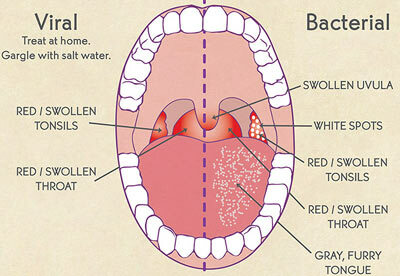 In adults about 80% of sore throats are from a virus, and in children it is around 70%. These viral infections will resolve on their own, and we just need to support with pain management, which in many cases is just a good throat spray or lozenge. The rest are bacterial, and these are normally caused by a bacteria called Group A streptococcus. Group A Strep will normal get better by itself within 5 days, but it is important to recognize and treat the bacterial infection, as Group A strep can result in Rheumatic fever, an abscess in the tonsil area and even a kidney problem. Treating with antibiotics with decrease the chances of developing rheumatic fever, but doesn’t necessarily decrease the chance of developing a kidney problem. It is not unreasonable that if your doctor is unsure if it is viral or bacterial, that they do a throat swab and wait for the results before giving antibiotics. Group A strep is uncommon in children under the age of 3, and is most common in children age 5-10 during autumn and winter. There is an increased risk of having a bacterial throat infection if your child was exposed to another child who had it within the previous 2 weeks. The biggest problem is that children are normally infectious 2-5 days before they actually start getting sick, so the parents wouldn’t actually know that they should be keeping their child out of school. If your child has a sore throat with the above symptoms, it is most likely a viral infection, and antibiotics are not necessary, and neither is a throat swab. If you are worried about their condition, you should see your GP anyway. The antibiotic of choice for Group A Strep is penicillin, as the bacteria does not have penicillin resistance. There are alternatives if you or your child are allergic to penicillin.